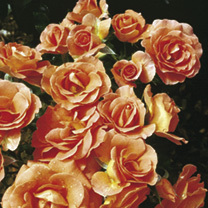 Bush Roses - For beds, borders and in groups. Supplied in a 4 litre pot. 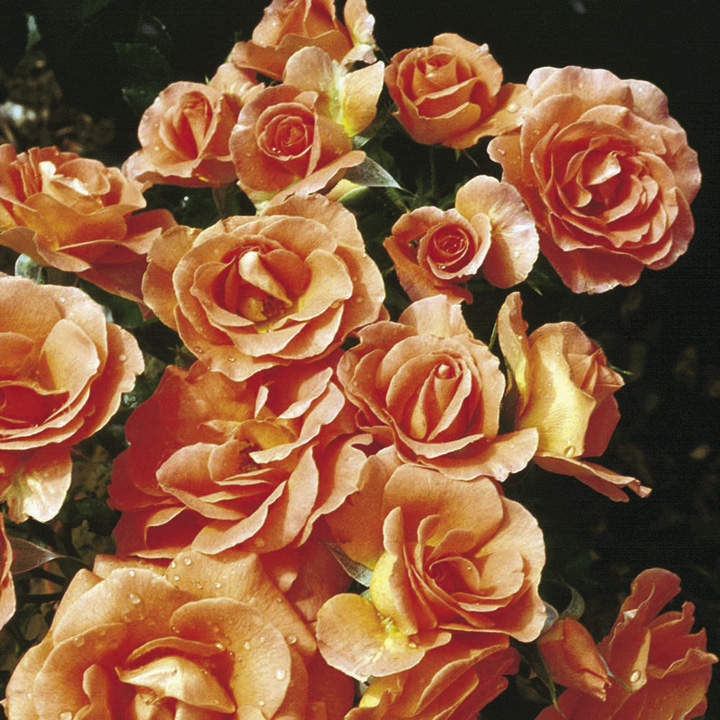 Betty Harkness - Floribunda variety with elegant blooms borne on excellent plants with leathery foliage. Scent 7. Colour: Apricot. Height 90cm.